Do You Have a BDR Plan in Case of a Crisis? What would happen to your business if you suddenly lost everything? The digital records, data and paper documents you need for daily operations…all gone. Most likely your business would come to a halt. 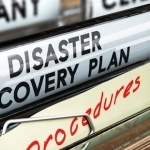 Do you have a backup and disaster recovery plan in place if a crisis were to occur? Recovery Point Objective (RPO) – What do you need in terms of data to get back up an running quickly? While it’s never good to lose older archival records, they may not be critical to your day-to-day operation. Recovery Time Objective (RTO) – How quickly do you need to regain access? Within a day? An hour? Even less time? 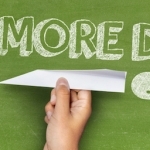 Recently, a study by IDC found that 58% of businesses still rely on paper documents. 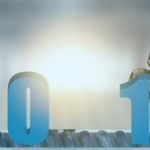 The best data backup plan won’t help restore paper records. The problem with paper is that the processes that rely on it are often most disrupted by its loss. In order to be truly effective, a recovery plan must consider this. Fortunately, it’s easier than ever before to digitize paper records. Do you have a critical records file with phone numbers and email addresses off site? Do you have a means for notifying customers and staff when a crisis directly impact them? Is your staff ready to react in the event of a crisis? A backup and disaster recovery strategy should be a major part of your document and digital data management plan. Data loss and disasters happen. Are your prepared? Give us a call and let us show you how a backup and disaster recovery plan can have your business back up and running quickly and efficiently.